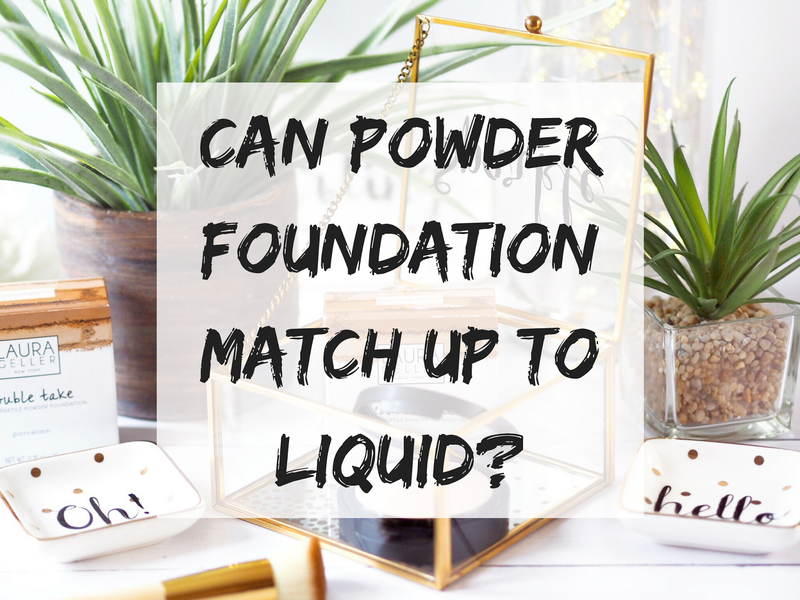 Can Powder Foundation Match Up To Liquid? As you all know, I’m a full coverage foundation kinda gal. I love full coverage foundation and won’t really try anything that doesn’t offer a full coverage base. Having oily skin means I’m also that bit more particular about the foundations I try because my pores are like pot holes, and I need foundation to keep them, and the excess oil at bay. Because my preference is full coverage, I’ve never thought a powder foundation would work for me. I always assumed that the nature of a powder – the fact it’s lightweight and not dense, meant that it couldn’t possibly give me the full coverage that I like. So other than a dabble with a mineral product or two over the past few years, I’ve not really given any powder foundations a go. However I was given the opportunity to try the Laura Geller Double Take Baked Powder Foundation recently, which came at the perfect time. The mornings can be a huge rush for me to get myself ready nowadays and so I’m finding my make-up routine get increasingly quicker. 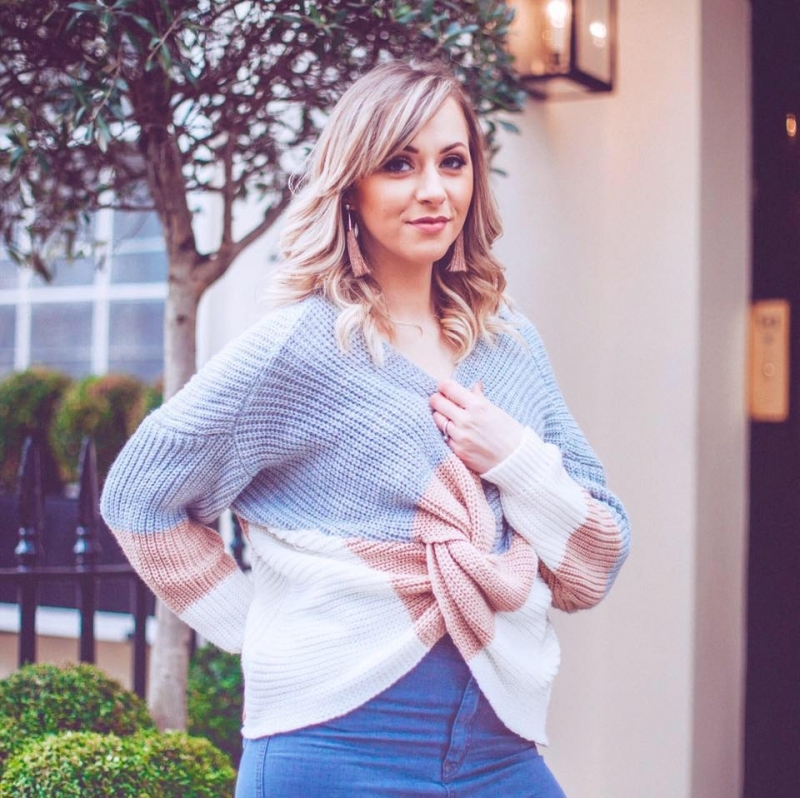 With me quite often not using products I’ve always used, and relying on the very bare minimum. Foundation is an absolute essential for me, I won’t leave home without it on. So the Double Take Powder arrived at a time when I needed a quicker application foundation. The powder itself is quite thick, it’s not cakey but it feels heavier than a fixing powder – which gave me hope that actually a good coverage could be achieved with it. Application can be done with a brush or sponge, and for ease each powder does come with it’s own flat sponge. Winner. There’s two methods of application, which I’ve now found give startlingly different results. The first method is to use it as a standard powder and apply with a brush. I recommend a kabuki or buffing brush to achieve the best results. You just apply by gently buffing into the skin. I’ve found that this method gives a medium coverage. What I do like about this foundation is that although it’s a powder, it’s not got huge fall out because the texture is so creamy. It doesn’t fall off the brush like a normal powder, but buffs in really nicely, which I continue to be impressed with. However if you want the deeper and fuller coverage, then apply with a damp sponge. This was a revelation to me – I didn’t even know you could apply powder foundation with a damp sponge! When you do it this way, it’s a lot more like a liquid foundation, just not as thick. The coverage it gives is what I think of as a lighter layer of make-up but the coverage has actually been quite impressive. I’d say it’s medium-full coverage this way – which is pretty good for a powder. A quick rinse of a sponge under the tap, then squeeze to remove excess water and that’s it – you’re good to go. I apply all over and it takes seconds. This is the method I’m using, and then I sometimes just use my kabuki brush and dust a final layer on top – it’s a pretty good coverage and I have been really pleasantly surprised with it. 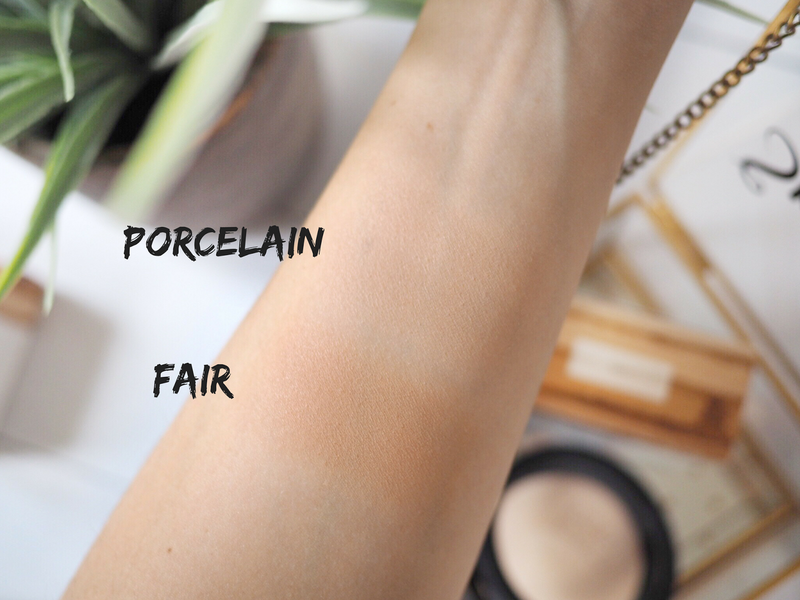 Shade wise, I found I sit somewhere between Porcelain and Fair – the two lightest shades, so I can mix them or alternate depending on if I’m wearing tan etc. There are nine shades to pick from in the collection. So overall my thoughts are this – for a powder foundation, I’ve been suitably impressed. For how much quicker I can quickly get this on, it fits with a quick make-up routine and for those in-a-rush days. The coverage level to me is medium-full, so a lot better than I anticipated, and I’m going to continue using this before my morning rush. 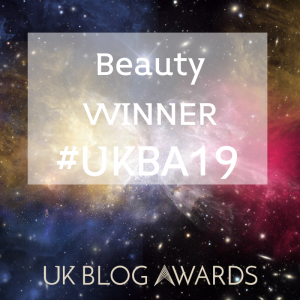 I’ve also found that using this over my normal liquid foundation has given the most amazing full coverage look – so if you get it you’ll find you can use it alone or as a powder to intensify the full coverage look of your normal foundation. Well worth investing in for your daily make-up bag. Check out the other shades and find yours here. Would you give powder foundation a go?